used primarily for the prevention of "bales" (na-bales, na-bati), a malady common in infants and young children, manifesting with headaches, abdominal cramps, flatulence, nausea or vomiting. It is believed to be brought about by a "bad wind" or negative energy" that accompanies innocent complimentary greetings or comments, for ex: "That's a pretty baby." "That's a nice dress." Or, "She has a nice smile." The "bad winds," unintentionally delivered with the greetings, enter the weak and yet defenseless bodies of infants and young children. Treatments for bales are varied: verbal antidotes (pwe-usog or puwera usog), smudging of the greeter's saliva on the child's forehead or abdomen, a visit to the albularyo who may perform a whole body application of "nga-nga." The unton is used for those who have suffered several episodes of "bales." It is worn as a "preventive" accessory usually pinned on the back of the child's upper clothing. Although colors may vary, red is the preferred color, believed to be more effective in preventing bales or "bati." Rarely, a black unton (itim na unton) is utilized for warding off vampires (asuwangs that prey on pregnant women) or other nocturnal spiritis. 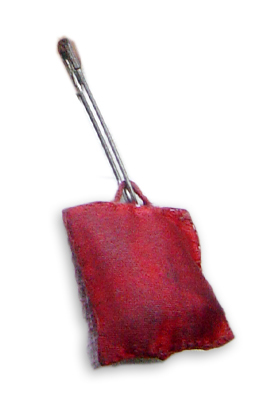 A typical unto is a one-inch square pouch filled with various indigenous materials: corn kernels, saga, mongo or pepper seeds. Some use a combination of fillings: stunted black atis fruit (insert), 3 dried red hot peppers, and luyang itim (black ginger), wrapped in plastic before being sewn into a pouch. Sometimes, an orasyon (prayer written in small pieces of paper) is folded and placed inside the pouch, by itself or with other fillings. 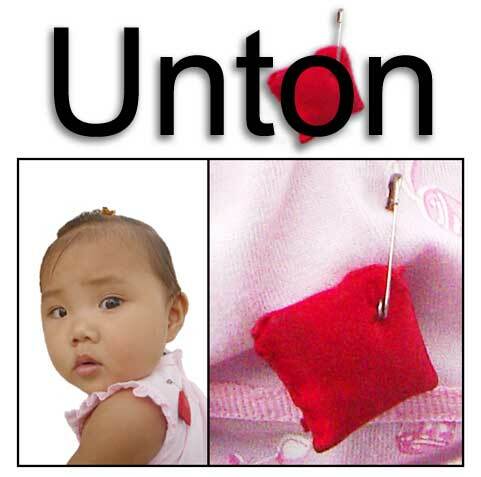 The unton is usually worn, pinned on, night and day, until the age of four or five, when the child is believed to have acquired a resistance or has become less sensitive to bales or bati.